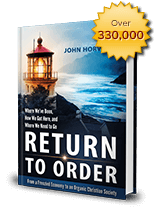 Since its publication, the book, Return to Order: From a Frenzied Economy to an Organic Christian Society —Where We’ve Been, How We Got Here, and Where We Need to Go, has spread far and wide. The book’s author, John Horvat II, is happy to announce that the book is now being stocked at the Kansas University Bookstore. 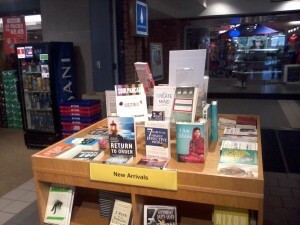 The bookstore is always interested in promoting the works of the university alumni. “Tell people who are interested that the book is stocked by the KU Bookstore,” says manager Lisa Eitner. This entry was posted in Featured and tagged America, Christian civilization, frenetic intemperance, Praise for Return to Order, Return to Order by John Horvat II. Bookmark the permalink.